You are here: Home / Blog / Cosmetic Dentistry / Do you know your teeth have numbers? Do you know your teeth have numbers? Well, at least the dentist use a special numbering so all of them know exactly of what tooth they are talking about. The numbering of the teeth starts from back on the right upper third molar and goes clockwise until the lower right third molar. So it would be 1 for the upper right third molar, then 2 for the upper right second molar, until your front teeth that would be 8 and 9, and so and so. Obviously, each tooth also has a name too. First to third Molars, First and second premolars (bicuspids), canines (cuspids), lateral incisors and central incisors. We also say if they are on the left or right side of the upper or lower arch (mandible/jaw). 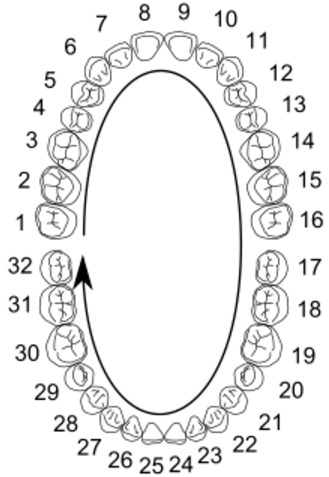 With this universal teeth numbering you can easily tell your dentists over the phone if something happened to certain tooth. “The number 6 chipped when I fell on my face” (upper right canine) or something like “My number 19 is hurting terribly!” (lower left first molar). This can ease the communication between the patient and the doctor too. 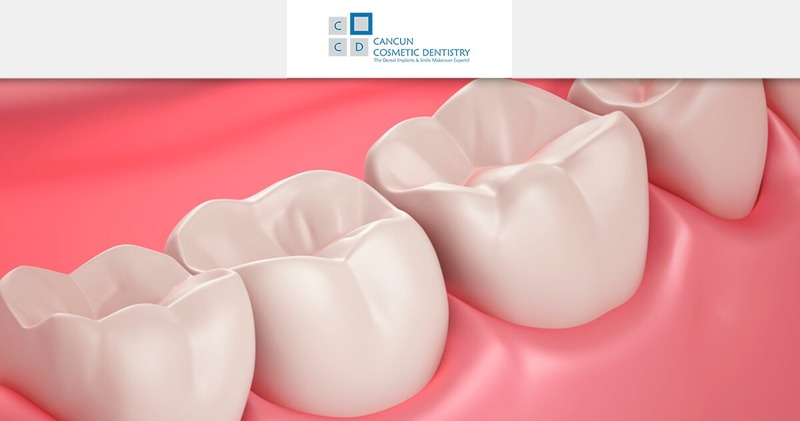 Our doctors will talk to you by phone and video (when doing an online evaluation), as well as when you arrive to our dental clinic in Cancun to explain all the details about your treatment and any other options you might want to look at. We have all the equipment and the most well trained staff to help you with any dental emergency or previous issue. Our service has even won the Service Award from WhatClinic. You might be interested in: Cancun Cosmetic Dentistry just won the Patient Service Award from WhatClinic! How can I find the most affordable cosmetic dentistry treatments? Dental Implants or Dental Bridge? What’s best?